Do You Have A “Gutless” Business? 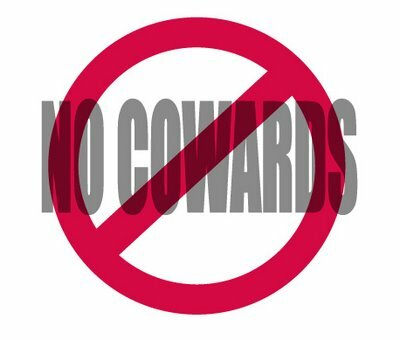 Are you a coward when it comes to your business development tactics? Do you have the courage of your (marketing) convictions? Are you afraid to separate yourself from the flock? Unfortunately, this is the case for many small business owners I talk to. There’s way too much “me too” thinking out there, with business owners and marketing staffs just wanting to compare themselves (favorably) to their competition. It sounds, to your prospects, a lot like this: “We do pretty much the same thing as 100 other companies, except we do it better because…(choose your reason here)”. And on and on and on. Blah, Blah, Blah. The key is not to compare, but to separate your company from the pack. Squeeze the balloon to get more sales. What businesses must force themselves to do (no matter how painful it may be) is to narrow their positioning in one of two areas: either in the market they serve or the scope of services they provide. Have you ever noticed when you squeeze down on one side of a balloon, the other side gets bigger? But when you press down in the middle, it flattens out. It may seem counter-intuitive, but you have to narrow your positioning (marketing-wise) in order to gain deeper penetration and drive more sales. And the more competitive your space, the more polarized you need to be. Don’t get me wrong: this doesn’t mean you have to turn down business; it simply means you have market yourself differently. Imagine trying to get traction and good penetration into a wall of solid ice. What’s going to work better, an ice pick or flat shovel face? Most businesses I meet with are (unfortunately) using shovels. Forcing yourself and your team to take a hard look at your marketi positioning can pay great dividends when it comes to curing your business development, lead gen and sales woes. Now, gather your courage and do what you have to do! This entry was posted in Uncategorized by larryallenmusic. Bookmark the permalink.